NEW YORK (AP) -- Mattel, hurt by the closing of Toys R Us stores, said Wednesday that it will cut more than 2,200 jobs as the maker of Barbie dolls and Hot Wheels cars seeks to save money. Like other toy companies, Mattel has lost sales as Toys R Us faltered. The toy retailer filed for bankruptcy protection last year, announced it was liquidating its business in March and then closed all its stores last month. Mattel rival Hasbro, however, reported better-than-expected second-quarter financial results earlier this week, a sign that the maker of Monopoly and Play-Doh is rebounding from the demise of Toys R Us. A Mattel spokesman said the job cuts will affect mainly its office workers worldwide and are part of the company's efforts to slash at least $650 million in costs. Mattel, which is based in El Segundo, California, has about 28,000 employees. Mattel Inc.'s stock fell nearly 9 percent to $14.85 in after-hours trading Wednesday, after dropping 1 percent during the regular trading day. The company had other bad news: Its financial results between April are June were worse than what Wall Street analysts had expected. It posted a loss of $240.9 million, or 70 cents per share, in the second quarter. Losses, adjusted for one-time gains and costs, were 56 cents per share, far larger than the loss of 32 cents per share analysts expected, according to Zacks Investment Research. Revenue fell 14 percent to $840.7 million, below the $863.1 million analysts expected. There were some bright spots: Barbie and Hot Wheels sales rose, even as Toys R Us shuttered its doors. Other brands didn't fare as well. Sales of its American Girl dolls fell, as did sales in its Fisher-Price brand. Ynon Kreiz, who was named CEO in April, said Wednesday that he expects the negative impact of Toys R Us to subside by next year. 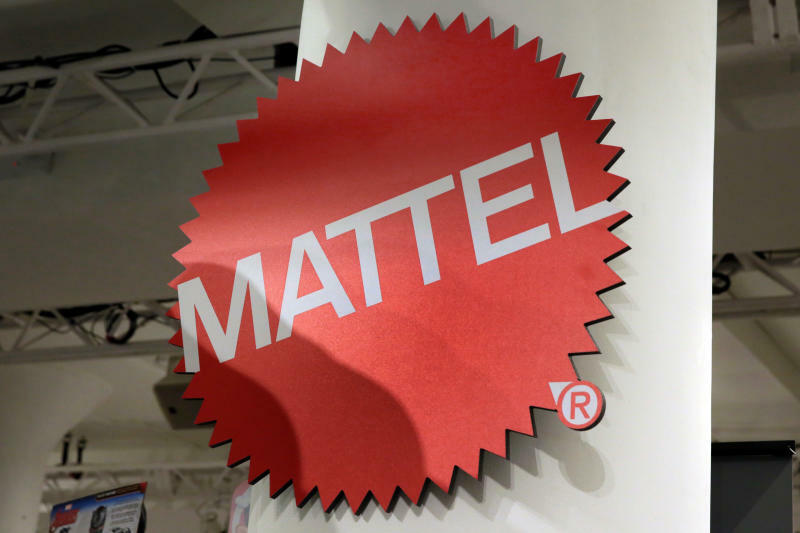 Mattel, he said, is working closely with other retailers and looking for more ways to sell its toys online. "Mattel is a company with great potential," Kreiz said in a conference call.